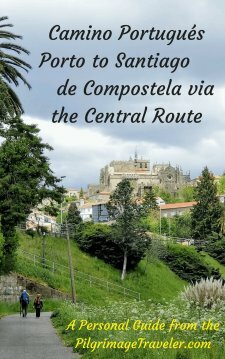 You can use our Camino Portugués eBooks, taken from our Camino Portugués web pages, as a guide book on your own Camino. When you purchase our eBook guide, you will receive a PDF file to download to your chosen device. All you need is a PDF reader on your device. We accept PayPal accounts and credit cards and will convert your currency as needed. Our readers were telling us that they loved our on-line information and were using it as a guide book. Some went to the pain-staking measure of printing out each page, or converting our pages to PDF files to use offline. What a hassle is this! Now, we have gone to all the work for you, and have created Camino Portugués eBooks for your use! We have edited our web page information specifically for PDF use and for ease of reading. We all know that for a large volume of material it is easier to read in book or document format than online. Our eBook guide books are your answer. You will be able to read our Camino Portugués eBooks anywhere, on the airplane, each night on your Camino to prepare yourself for the upcoming day, and even during your Camino, to pull up the maps if you like to track your location and to find other information. We have divided our journeys into separate eBook guides, for ease of use! Plus, you only buy what you need. Please don't forget that you will not receive anything in the mail, or any paper product of any type! 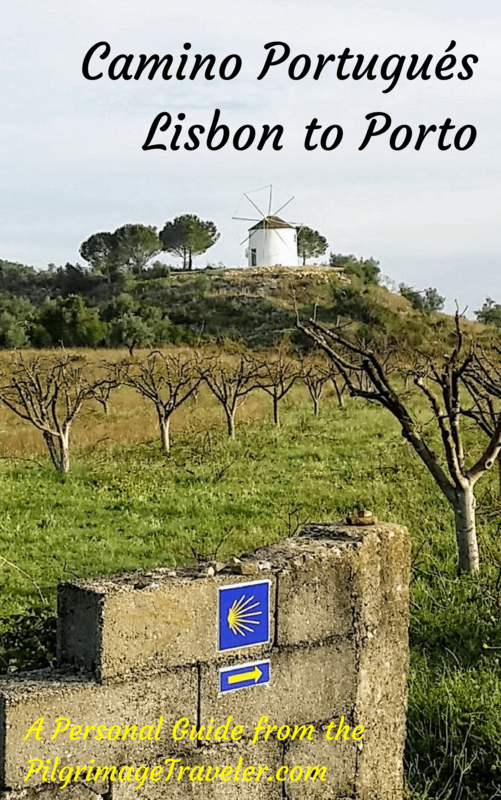 These Camino Portugués eBook Guides are a digital product only. *When you click the Checkout button, you will be directed to my Body Window Store Checkout Page on PayPal. The file sizes are as follows: 383 Mb for Lisbon to Porto (249 pages) and 275 Mb for the Coastal Route from Porto to SdC (192 pages) and 315 Mb for the Central Route from Porto to SdC (202 pages). Remember that these are large PDF files, packed with info and photos, to help you on your journey, and that internet connections differ. When you download the file, please be patient. If you live way out in the country like I do and have satellite internet it may take awhile to download. Once you have successfully downloaded the file to your device, try opening the file in a Kindle app (you must have this app on your phone first), or anther app offered to you on your device. Some of the apps have a more stable way of scrolling and reading, swiping to the left instead of scrolling down. This may feel nicer to you, than your usual PDF file reader. 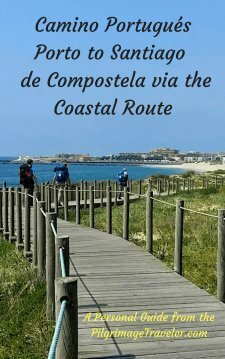 It is our wish that our Camino Portugués eBooks will assist you in your planning and therefore add to the success of your Camino. Join all those who have told us that with our guide, we were spot-on with our information, that it enriched their own Camino, and that there were few surprises along the way! However, as any Camino is a fluid thing, we are open to any suggestions for improvement, corrections and comments for our Camino Portugués eBooks! Just contact us. We are happy to update our guide book if the information has changed since its writing. Without a print version, it is very simple to constantly update our information! We thank-you and all the other pilgrimage travelers reading this thank-you! Ultreia and Bom Caminho! Buen Camino!